Grace Missions are in fellowship with churches, missions and ministries in other parts of the world. New River of Life churches have been planted in Phnom Penh, the capital city of Cambodia, and in Kandal and Svay Rieng provinces. New River of Life church, Phnom Penh, urgently needs support in order to continue to pay rent for the building they meet in, which also houses the pastor’s family. Longer term the church will become self-sufficient, but at this stage of their development we can express our fellowship with them by helping them meet this expense. If you would like to contribute, ideally by means of a regular gift, please contact us. Active in Missions Today is the extended ministry of Yangon Grace Bible Fellowship. Active in Missions Today’s vision is to see Antioch-type churches established among all people groups in Myanmar. Active in Missions Today’s purpose is to help churches and peoples in both Myanmar and in the world in their desire to partner with Christ in the building of His churches by spreading the good news of our Lord Jesus Christ. Active in Missions Today’s mission is to glorify God by carrying of the Great Commission (Matthew 28:19-20), which is to go and make disciples of all the nations in the world, by reaching others through the loving relationship and love of God and by equipping the saints at home followed by releasing them for the work of ministry according to the Bible. Active in Missions Today sends teams comprised of experienced leaders and Bible college students into remote areas of Myanmar in order to accomplish its mission. These trips involve going where there are no roads and carrying heavy equipment, including generators, up steep mountain paths. Team members make enormous sacrifices, including putting up with poor diet, lack of shelter and arduous terrain, for the privilege of sharing the good news of Jesus with people who have never heard His name. Many who hear the gospel respond, accept Jesus as Lord and Saviour and are baptised. 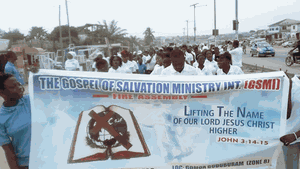 GSMI is a ministry entrusted to love God, enriched to serve people. They are passionate about Jesus Christ and filled with compassion to take part in the Great Commission. Evangelism and church planting: Actively planting churches in difficult locations in Ghana and globally. Development projects: Helping existing church plants to grow and assisting new ones. Training and discipleship: Equipping people to go and carry out their global vision. 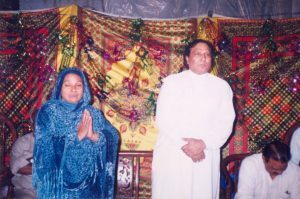 Zinda Calisia in Lahore, Pakistan, is dedicated to sharing the good news of God’s love, forgiveness of sin, healing and deliverance from the power of darkness, provision for today and hope for eternal life hereafter to the diverse peoples of Pakistan irrespective of colour, race or ethnic background. 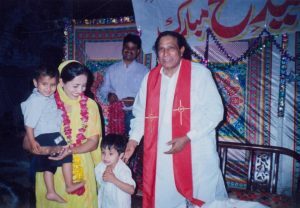 The church is led by Rev Dr Qaiser Umer Masih and his son John Paul. Dr Quaiser has been serving the Lord for 30 years and has a powerful healing ministry.